This outfit included Mick Hawksworth who'd previously played with Andromeda and Five Day Week Straw People. Their organist Roy Sharland had previously been with Spice and Arthur Brown. Original copies of the album are expensive. Only 500 copies were originally pressed and they came with a free poster. 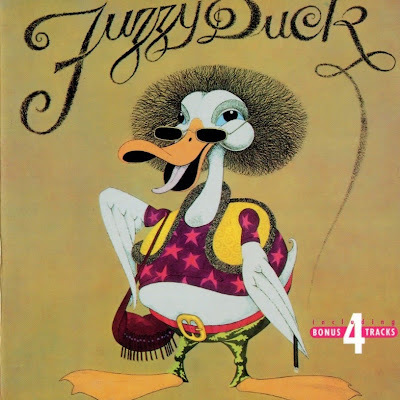 The cover depicted an Afro-wearing duck. Musically it's in the heavy progressive genre. It does contain some pretty good organ-dominated instrumental passages and is worth investigation. Garth Watt-Roy was also in Greatest Show On Earth.